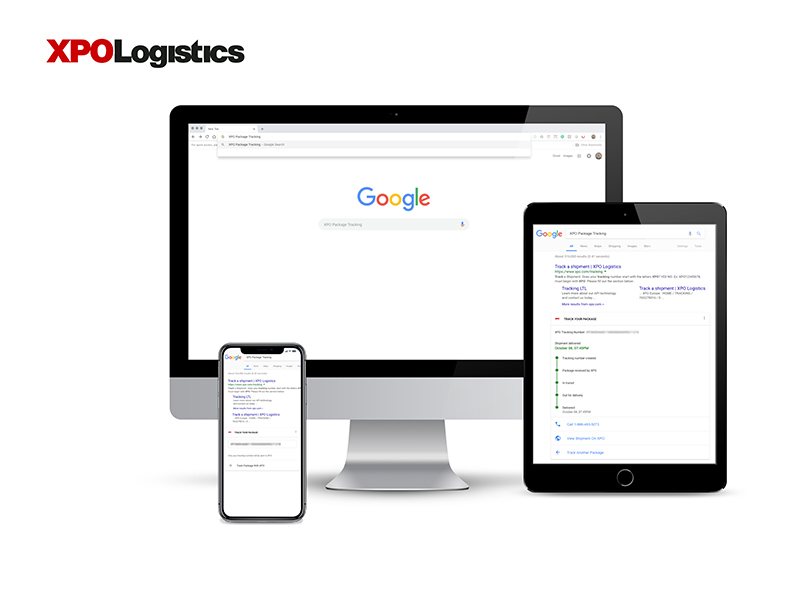 Transport and logistics provider XPO Logistics, Inc. (NYSE: XPO) said today it has launched last-mile tracking of heavy goods through “Google Search,” (NASDAQ:GOOGL), thus becoming the first transport company to offer last-mile visibility of heavy goods delivery status through the ubiquitous online search function. Through the service, a consumer can track a shipment by entering the phrase “XPO Package Tracking” and then typing in the shipment number. The service can be accessed from any internet-enabled device, the Greenwich, Conn.-based company said. The service is an addition to the company’s do-it-yourself portfolio, which includes order management, text updates and voice-activated connectivity through Google Home and Amazon (NASDAQ:AMZN) Echo devices. An XPO spokesman said the company does not disclose data to quantify how popular these programs are with consumers. XPO touts itself as North America’s largest provider of last mile logistics for heavy goods, handling 14 million last-mile deliveries, assemblies, and installations a year. It is also the third-largest less-than-truckload company by revenue. Recently, however, FedEx Freight, the nation’s largest LTL carrier, launched a pilot program in Dallas for last-mile deliveries. The unit of Memphis-based FedEx Corp. (NYSE:FDX) plans to add 4 U.S. markets to the program during the first half of 2019. Though still a relatively small part of the overall e-commerce mix, demand for heavy goods e-fulfillment has been rising strongly as retailers make more of their stock-keeping units (SKU) available for online purchases. Deliveries of heavy goods is a $9.4 billion a year market, growing 10.5 percent from 2017 to 2018 following 9.4 percent growth from 2016 to 2017, according to SJ Consulting, a consultancy. Growth in the segment has compounded by 9 percent a year since 2012, according to the firm’s data.